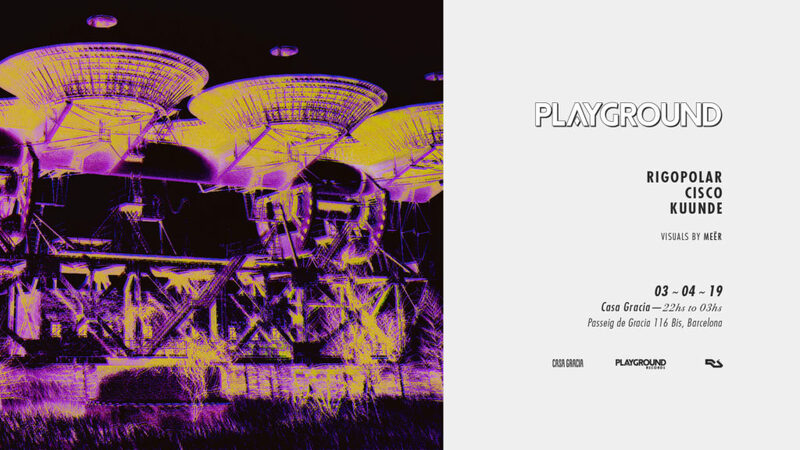 Playground returns to Casa Gracia for a new ritual night. This time we invite to join us to the Mexican talent based in Brooklyn, Rigopolar who been released in labels like Nein Records, Roam Recordings, Play Pal Music and coming soon on Playground. In addition to him we will have an old friend of the house, our dear DJ Cisco who then to finish his work on Undertones after 10 years he is in Europe looking for new adventures.